Spider-Man season 2 confirmed and dated! 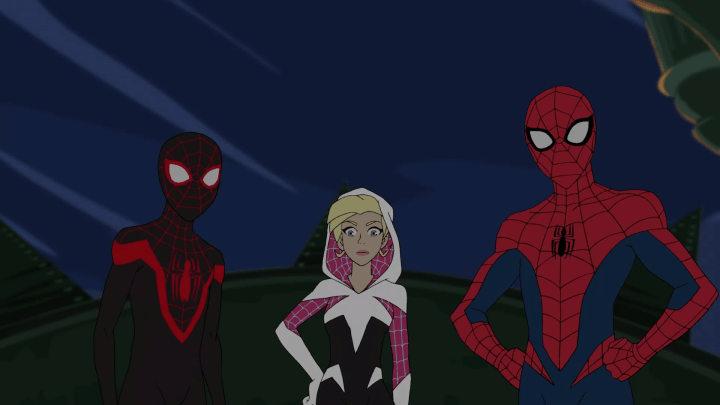 Season two will feature higher stakes and epic battles as Spidey faces-off against new heroes and villains, some of which are voiced by exciting guest stars, including Sofia Carson (Disney’s “Descendants”), Booboo Stewart (Disney’s “Descendants”), Nathaniel Potvin (“MECH-X4”), NASCAR racer Ryan Blaney and social media sensation Teala Dunn. The second season finds Peter Parker in his “sophomore year,” as he’s no longer an inexperienced new superhero nor a brand new student, at the intimidating Horizon High. However, his foes are also no longer inexperienced and his ever-growing Rogue’s Gallery is focused on taking Spider-Man down. Picking up where season one left off, the stakes are much higher in Peter’s personal life and Spider-Man’s superhero life. He also must learn how to balance working at “The Daily Bugle” to afford tuition at the prestigious Horizon High while surviving Doc Ock’s series of obstacles in an attempt to get rid of Spider-Man once and for all. The action-packed season will continue to touch on Spidey’s relatable themes, including friendship, loyalty and heroism while staying true to its signature sense of comedy. Just in case, there might be spoilers, but I will try to keep it a minimum. Thank you Allie for the idea! Also, make sure you read Lynlynsay’s post about melody at her blog. You might be wondering on Twitter, what does the numbers and pictures mean whenever I am online, this was a countdown to this amazing post and I am ready to share! Besides the music and dancing, I want to let people know that today is my birthday and I turn 24 this year. 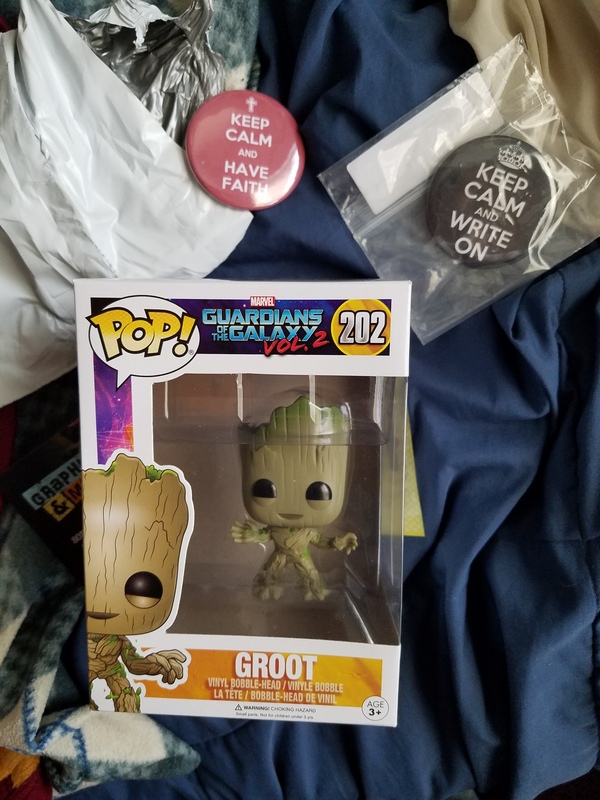 Goodbye 23 and hello 24! For my birthday from my family, I got movies Justice League and Jumanji: Welcome to the Jungle. 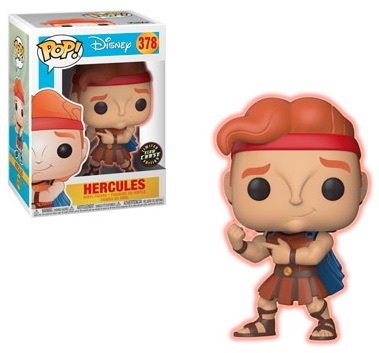 My birthday is on March 28th. For this special occasion, I want to do a special top 5 posts on my favorite OWLS posts I have written for the OWLS. If you don’t know, I am part of the OWLS, a special blogger group where promote self-respect and acceptance on others. 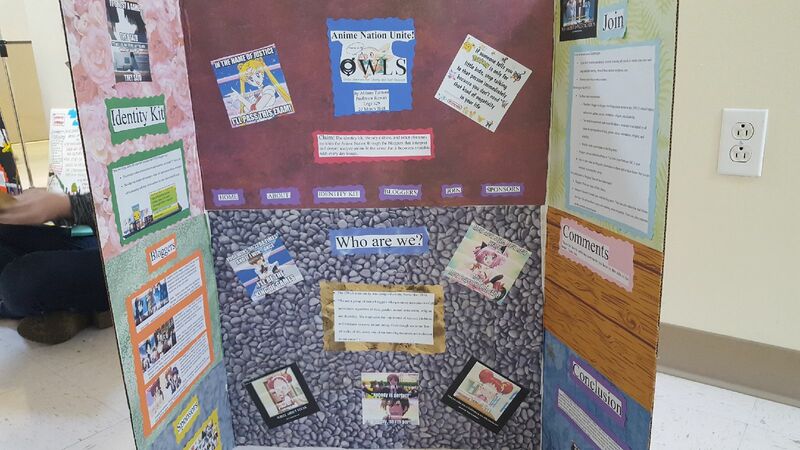 We use our writings and videos and we talk about topics using media such as anime, video games or other things to help talk about awareness and importance of respecting others in real-life. As a member I take pride on doing my hardest to write out a post for a topic in hopes I can help the team. I may not do videos, but I hope I can speak out with words on papers (in a essence). So without a further ado, here are my 5 posts in which I am proud of recently. This doesn’t mean I don’t like my other writing, but I am choosing the ones that stood out the most. This is something I thought about since this something I came up with the idea, but the Chief Creative Officer Lyn from Something from LynLyn wrote out the prompt and title which is called “treasures”. I mentioned to the group we should talk about something in regards to suicide and/or any mental illness like depression after finding out the lead singer Chester Bennington from Linkin Park committed suicide. Taking in considerations, this was approved and we all talked about in September about the importance of treasuring something important and what happens if something goes awry. 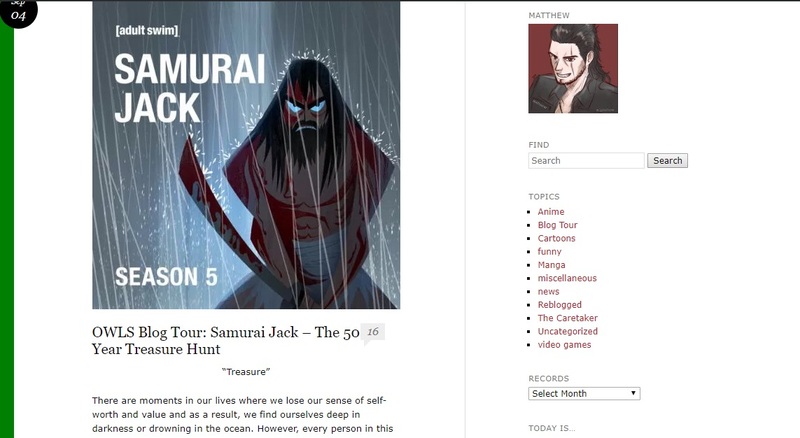 Instead of anime, I talked a cartoon called Samurai Jack and focusing on the series finale of season 5. In this season, I talked about the hero Samurai Jack going through 50 years of suffering in a dark future and trying to find his way back home. I mentioned that while going through the challenges, he has thoughts and temptations of killing himself to find peace. Suicide is a serious topic because it can happen to anyone and it’s the least expected people. It’s important to be there for others and treasure something that holds us important and gives us the reason to live. As a way to end 2017, we did a tour about having warm feelings and how it is important to share love. I used another anime favorite called One Piece. I talked about the main character Monkey D. Luffy is a caring young man who is willing to pick fight to help a friend. Regardless to history or appearances, Luffy will fight because he cares about friends and not afraid to die trying. I mentioned that us Christians, we need to love one another regardless of appearances and it brings us close to understanding. This is the first OWLS post I did when we first started the OWLS blog tour in January 2017. In this one, we talked about “disruptors” and how can disrupting something can actually be good. 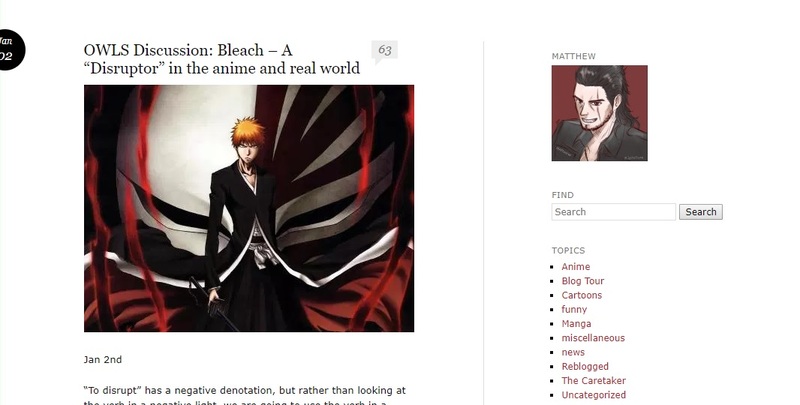 I used the anime/manga series Bleach and talked how Ichigo disrupted ideas and order. I briefly mentioned how someone like Ichigo went against the justice of the Soul Society and then reformed them and made some friendly allies with them. I was the first person to volunteer myself to start the tour. 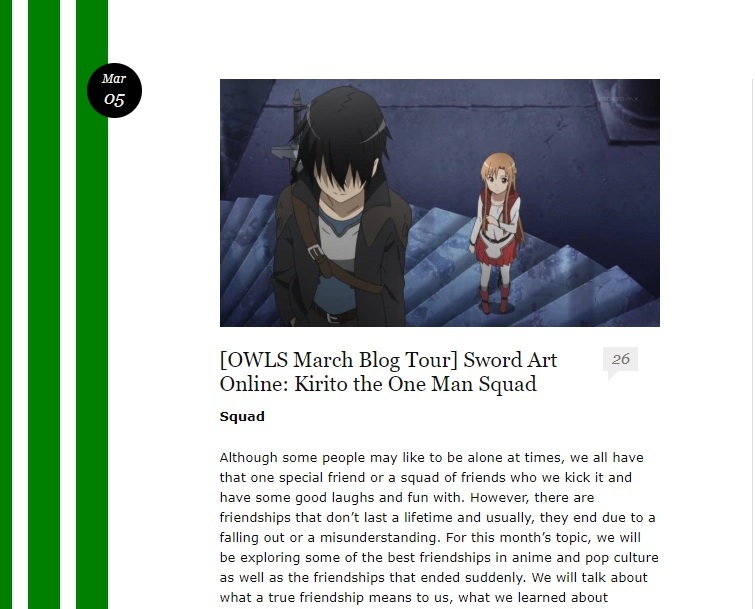 Recently made this year, for the topic of Squad and discussing what it means to have good friends, I choose Sword Art Online the second time. The first time was in March 2017 and the topic of Sanctuary. 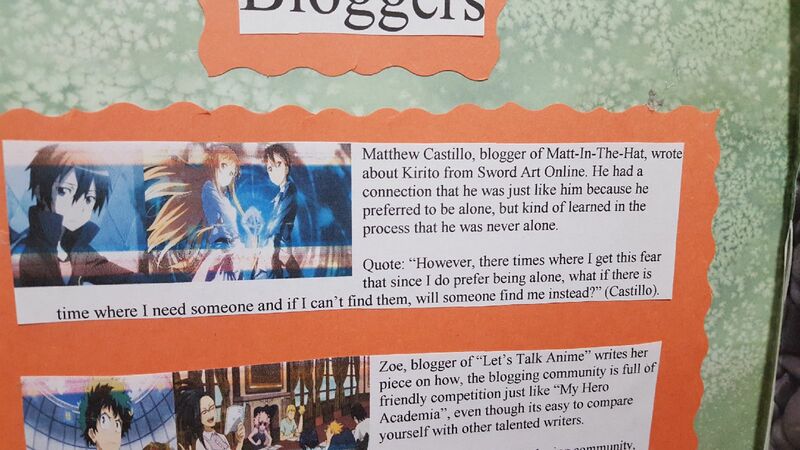 In this post, I talked about Kirito how he ended up choosing to be alone while trapped in the game Sword Art Online. I mentioned how he went through isolation and pain and briefly mentioned that he finally found someone who cares about him in the end. I also briefly mentioned about myself how I deal with being alone and then later meeting my friend Allie from Visionaries. I made this post in last year in March 2017 where we talked about Sanctuary and finding inner peace. I used my Sword Art Online as my anime choice for the topic. I used Takuto’s posts from the Anime Cafe Blog about Leafa and incorporated his words and my own words. Using examples like Leafa and Sinon, I mentioned how when life gets hard, whenever these girls go into VRMMORPG, they escape from their problems and become free. I used my own experience with video games how I enjoy being in my own world and feeling empowered. This is a post where I feel close to and it represents how much I love anime and video games and being in peace. This is one post I really enjoyed writing and I wrote it down by heart. I want to thank everyone for supporting me for these years and thank to every member of the OWLS. I am happy to use my gift of writing to help support a cause and bring us together. I am willing to participate in the months where I am available and I will give my time for you guys. The people who read these posts, thank you very much for taking the time to read them and sharing it to others. Together, we can make a difference and form a friendship beyond anyone’s imagination. God bless you all. Thank God it’s Friday! Welcome back to a new episode and season of TGIF Friday Funny! Before we start this episode, I got some new news for you. As we enter 2018, get ready for new stuff like video games and movies! Currently in January, we will be getting some new fighting games: Dragonball FighterZ, Street Fighter V: Arcade Edition and Dissidia Final Fantasy NT. In Dragonball FighterZ, Publisher Bandai Namco of Entertainment and Developer Arc Work Systems will be working together and create a new Dragonball fighting game. It won’t be like Budokai, Tenkaichi nor the Xenoverse and instead, the game will be played like the Guilty Gear series. 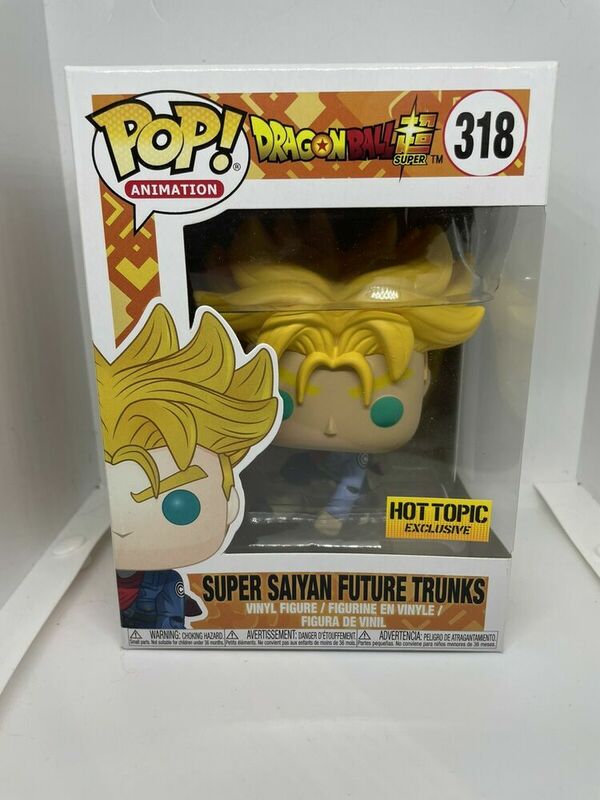 The animation will be similar to the manga and anime and it will have characters from Z and Super along with a new character named Android 21. In Street Fighter V: Arcade Edition, Capcom will re-release Street Fighter V but it will include free updated content such as DLC characters to the recent roster, an arcade mode where you can unlock illustrations and even new V-Triggers for fun combat. If you already have Street Fighter V, the Arcade Edition will be a free download so you don’t have to pay again. If you are like me and didn’t buy the game, you can buy the Arcade Edition instead and the price is about $35. Last but not least we have Dissidia Final Fantasy NT. In this game, players will be able to control their favorite heroes from FF1 to FF15 along with Type-0 and Tactics. The game will be in PS4 and the with the help of Team Ninja, the characters look amazing. 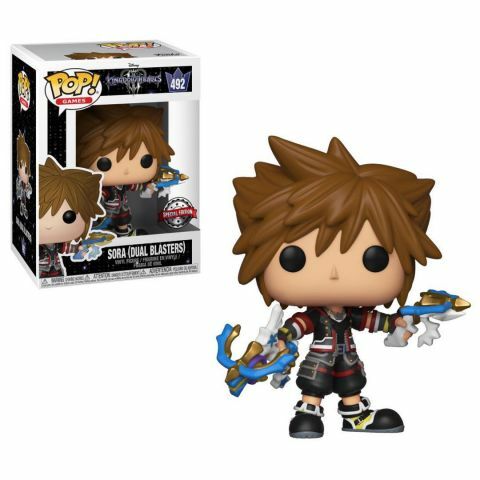 Ever want to play as Noctis (FF15) and fight Sephiroth (FF7) or have Cloud (FF7) fight Kefka (FF6)? Now you can! As random news, January 4th is the day where the Cartoon Network classic Ed, Edd’n Eddy debuted on TV. 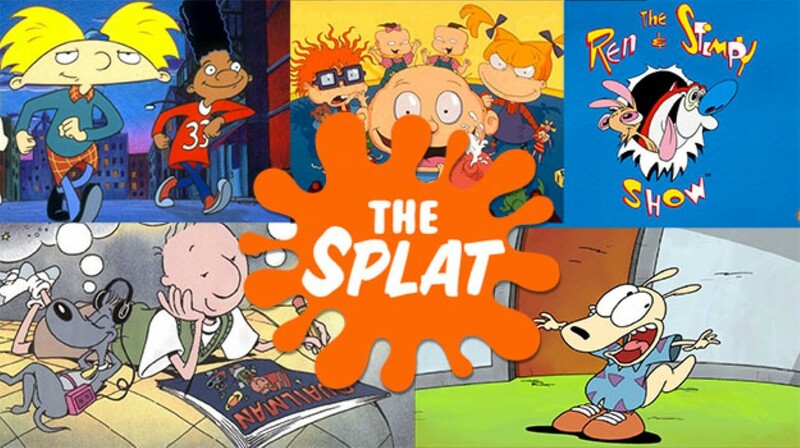 This is my cartoon growing up and it’s something I would watch everyday besides SpongeBob SquarePants. Ed, Edd’n Eddy first premiered in January 4th, 1999 and now that we are in 2018, this cartoon is 19 years old. The show starred three young boys who’s named both starts with Eds, who creates these devious scams in hopes of robbing kids in order to buy jawbreakers. We have the first Ed named Ed who is the dumbest but happy kid who has bad odor but with great strength; he also loves chickens and eats butter toast with gravy. He is voiced by Matt Hill who surprisingly did voices for anime characters such as Kira Yamoto in Gundam Seed Destiny and Bankotsu in Inuyasha and Mou Ten in Kingdom. Second Ed is Eddward but he nicknamed Double D because his name has two D’s. He is the smartest and clean freak kid who likes to stay organize and creates plans for the group. He wears a hat but no one knows why he wears it and the only people who seen his head is his own friends Ed and Eddy. Double D is voiced by Samuel Vincent who did many voices in cartoons and anime. In anime, he did Dexter from Hamtaro, Sidoh from Death Note, and just like Matt Hill, he was in Gundam Seed Destiny and he voiced Athrun Zala. Last but not least, we have Eddy. Eddy is the leader and the shortest of the group. He is the one comes up with the scams and he is the greediest kid. He constantly brags about having a cool and intimated brother and he wants to be the popular kid in the cul-de-sac. Eddy is voiced by Tony Sampson. He also did anime but unlike the previous two he didn’t do Gundam Seed Destiny and instead, he was in Mobile Suit Gundam Seed as Miguel Aiman and he voiced as Toya Kinomoto in Cardcaptor Sakura. Sorry for this extensive information, but I love this show and I could go on but I need to start this episode. Here is something to laugh! To conclude this post, here are some Canadian humor! Life as many doors Ed boys! See you next time! 1.) If you could visit any fictional world where would you visit? I would like to visit the world of Final Fantasy XV. It would be cool to explore Eos while riding ona Chocobo, meeting Cindy and CId at Hammerhead and explore Altissa and hopefully meet Lunafreya. I love FFXV! 2.) What’s your favorite fictional setting? I think I would like a combination of a fantasy and future setting. 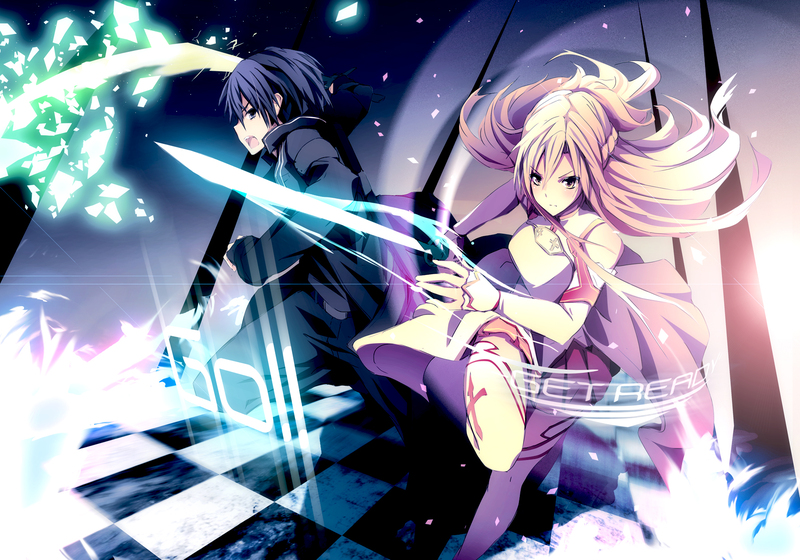 Anime like Sword Art Online and Yu-Gi-Oh! Vrains or even the cartoon Loonatics Unleashed (I think my friend Allie influenced me to love the future more lol) would be awesome. We will have access to advanced technology and have powers. 3.) If you could be any character for a day who would you be? 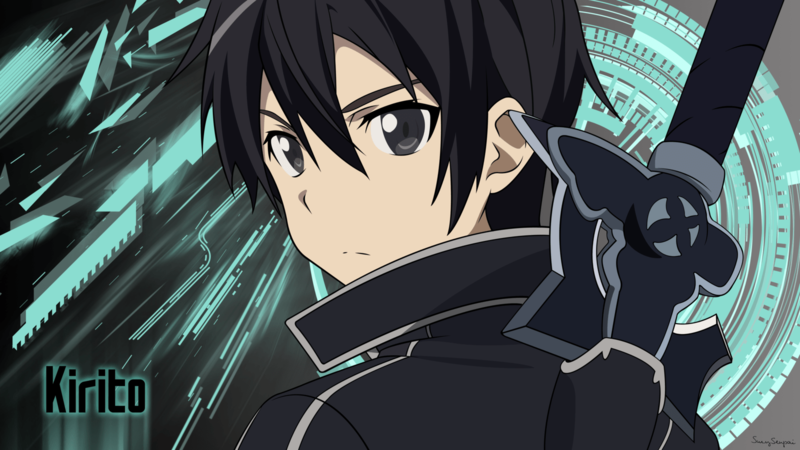 I would like to Kirito from Sword Art Online. He has amazing gaming skills and it would be cool to feel like a hero. I like to play video games. I am a gamer and I like to spend hours on playing through the story or just having a great time being number one. 5.) If you could have any super power what would it be? 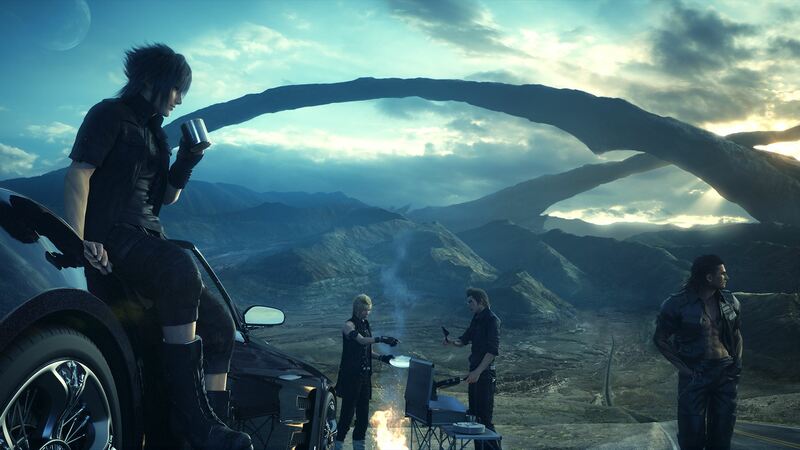 I would like to warp like Noctis from Final Fantasy XV. I would like to like to teleport anywhere I go by tossing something at the location. 6.) What’s your favorite food? I like food but my number one favorite food is pizza. 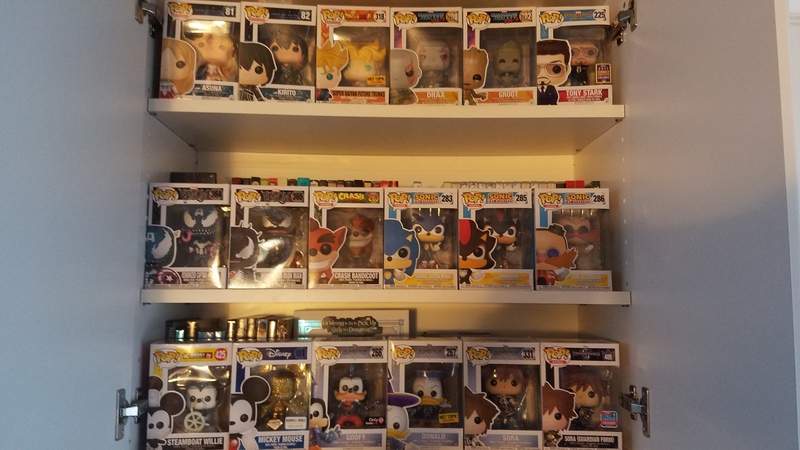 Besides anime, I love cartoons. 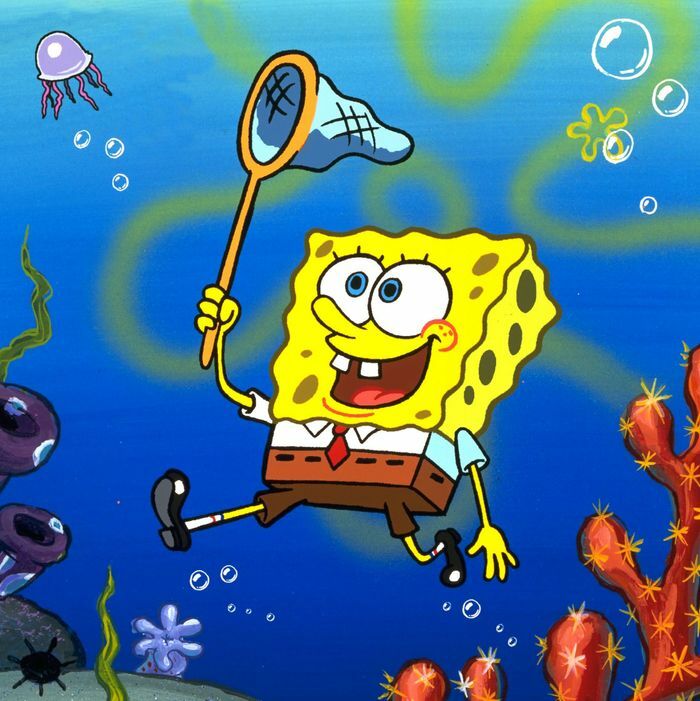 I enjoy the 90s cartoons from Nickelodeon such as Rugrats, Hey Arnold and Ren and Stimpy. I also like Ed, Edd’n Eddy from Cartoon Network. 8.) If you were stranded on an island what would you have to have to keep yourself sane? I would have my Bible. I need to read something from God’s message. 9.) If you could turn any book or graphic novel into a TV show which would you choose? If I could turn a book into a TV series, I would make the book Fahrenheit 451 into a series. I think if people learned about the story, we could learn the dangers of censorship and what happens if try to get rid of books. It’s important to read. I like watching anime. Anime like Dragon Ball, One Piece and anything filled with action is my cup of tea. Do you have any bad habits that you wish you can get rid of? Do you have a movie you regret watching? If you have a favorite character in any fictional works (anime, manga, cartoons, books or etc. ), do you imitate their personality? What is your favorite moment in 2017 you experience? There are moments in our lives where we lose our sense of self-worth and value and as a result, we find ourselves deep in darkness or drowning in the ocean. However, every person in this world is a treasure—we treasure ourselves or we are treasured by others—and at times, we may need to be reminded of that. For this month’s topic, we will be exploring pop culture characters who have suffered from mental illnesses, depression, and/or suicide. We will be discussing how these individuals cope with these issues, the reasons for their emotions, and how they handled the situations they are in. ***Mental illness, suicide, and depression are pretty serious topics and we hope that our OWLS post will give you some solace.